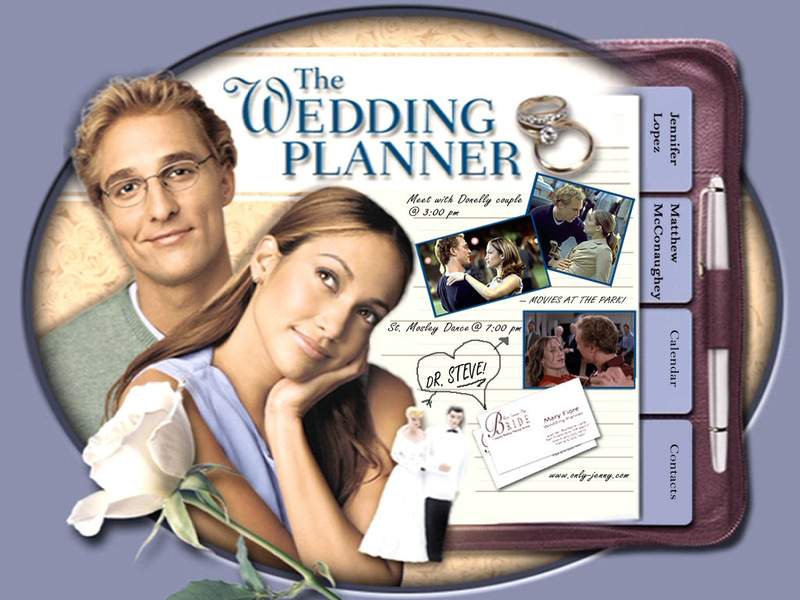 the wedding planner. . HD Wallpaper and background images in the The Wedding Planner club tagged: the wedding planner jennifer lopez matthew mcconaughey. This The Wedding Planner wallpaper might contain periódico, papel, revista, tabloide, trapo, signo, cartel, texto, pizarra, letrero, animado, cómic, manga, historieta, anime, and dibujos animados.